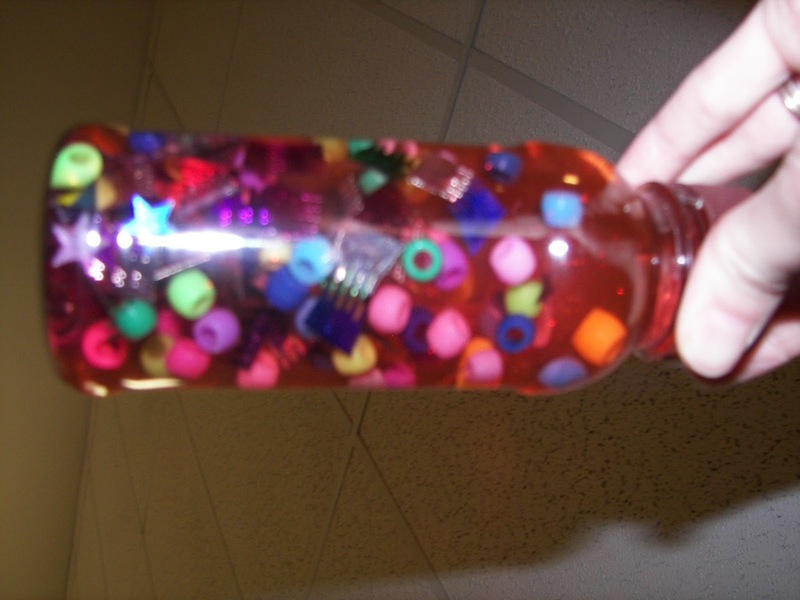 This was a stupid sensory bottle that my son and I worked on. I hate it but putting the beads and confetti in kept him occupied for a while. 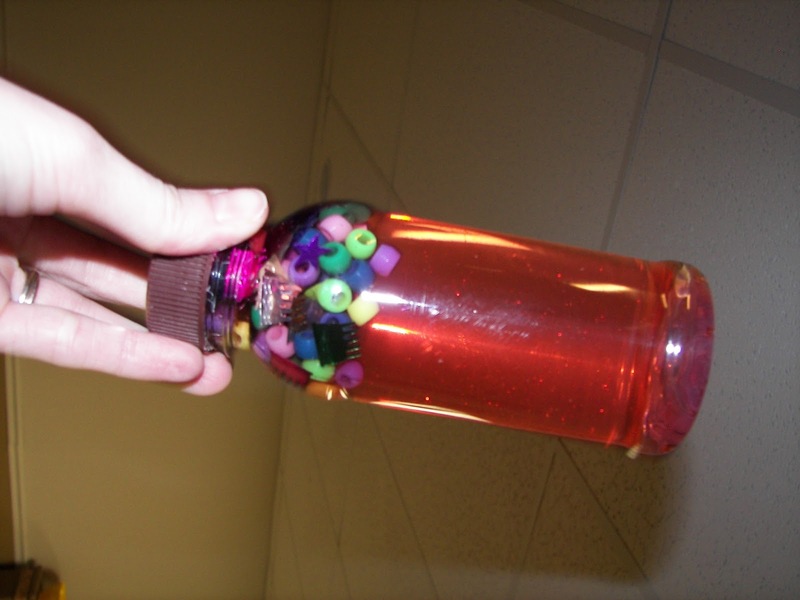 I then added water food coloring (the reason I hate it) and hot glued the cap on. I wish that I had left the water clear because it was so much more fun to look at the beads and confetti while you could see them through the water. Now the water is dingy looking. 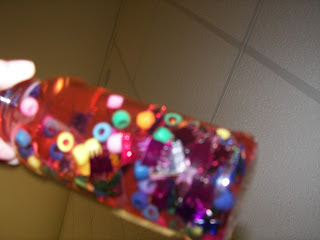 We will make another one soon once we get another little clear milk bottle like this and we will leave that one white. My daughter is the most excited by it. She picks it up and like all things she touches it goes straight into her mouth. But I figure it will be a good soothing toy for the car. Nice and quiet. Should give them something to look at for a few minutes of our LONG trips anyway! Now I have to make two because I am just imagining them fighting over it. Not my favorite project so far but a useful one in the end. Found the idea for this here, this is also just one random pin that I found when I searched sensory bottle. There are a million web sites with ideas on how to do these differently out there. Enjoy.